Join us May 7th at Uptown Grille for our “Wines Around The World” tasting event. Details can be found on our Events page. Big thanks to Uptown Grille for once again being our generous sponsor! 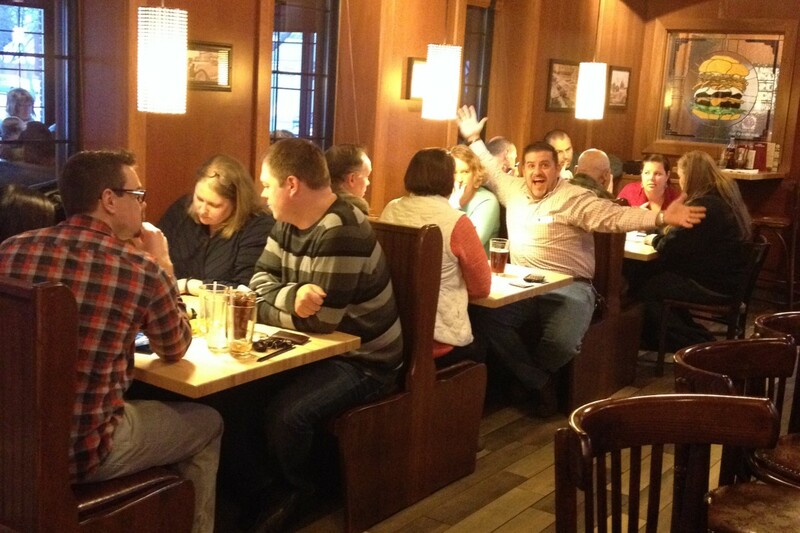 Trivia Challenge was a big success!! We would like to thank everyone that came out to support our first annual Trivia Challenge event at Bagger Dave’s in Berkley on 1/25. We had a great turnout and A LOT of fun. See you next year!! 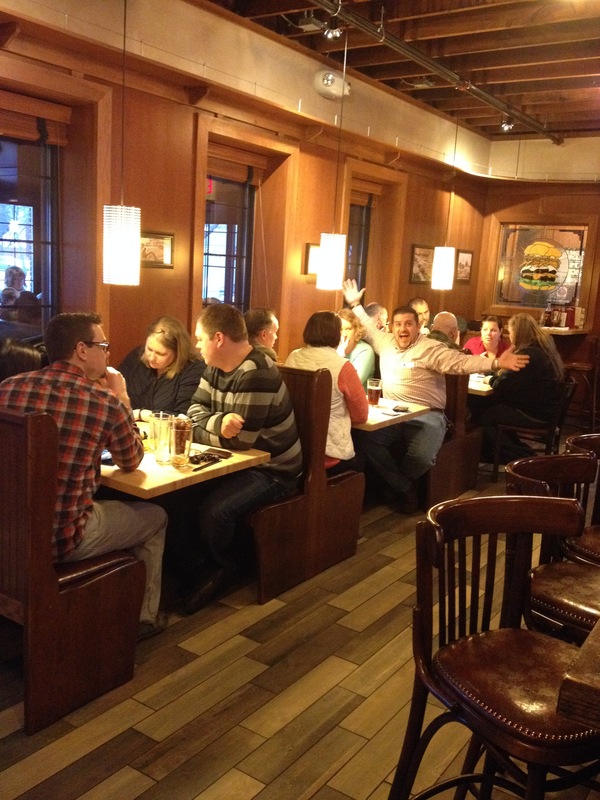 Big thanks to Bagger Dave’s in Berkley for hosting our upcoming Trivia Challenge event on Sunday, January 25th. Go to our Events page for further details. 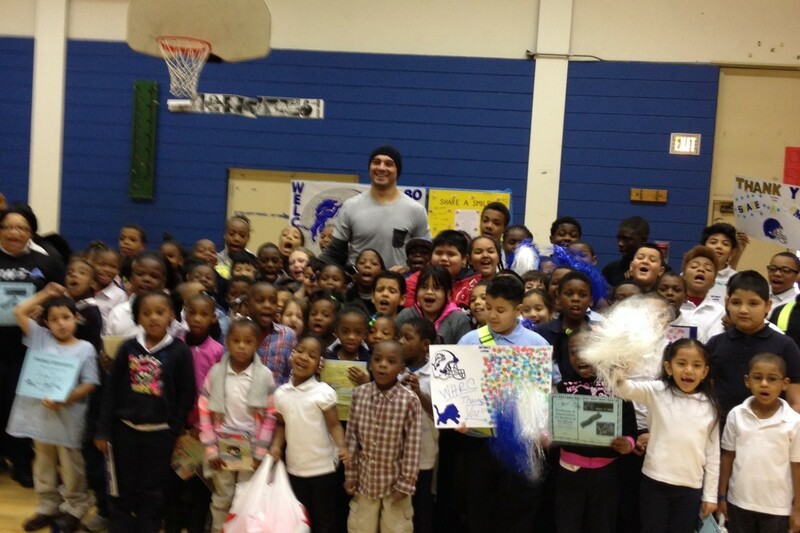 Detroit Lions Joseph Fauria helped us deliver over 150 new winter coats to WHRC Elementary school in Pontiac on November 18th. 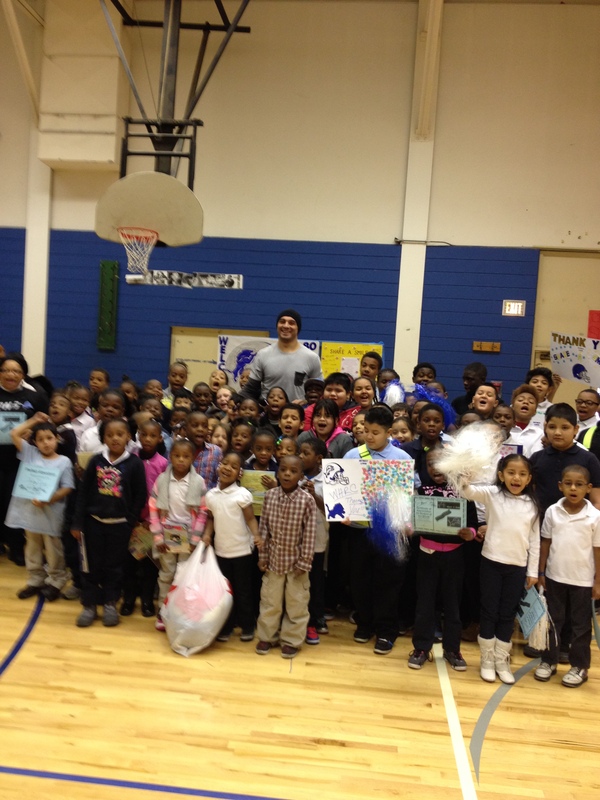 He was welcomed by a lot of excited students and teachers. Thanks Joseph!! Share A Smile will deliver over 500 new coats across the state of Michigan this month. Check out page 8 of the September/October issue of Ambassador. Great plug for Share A Smile!! 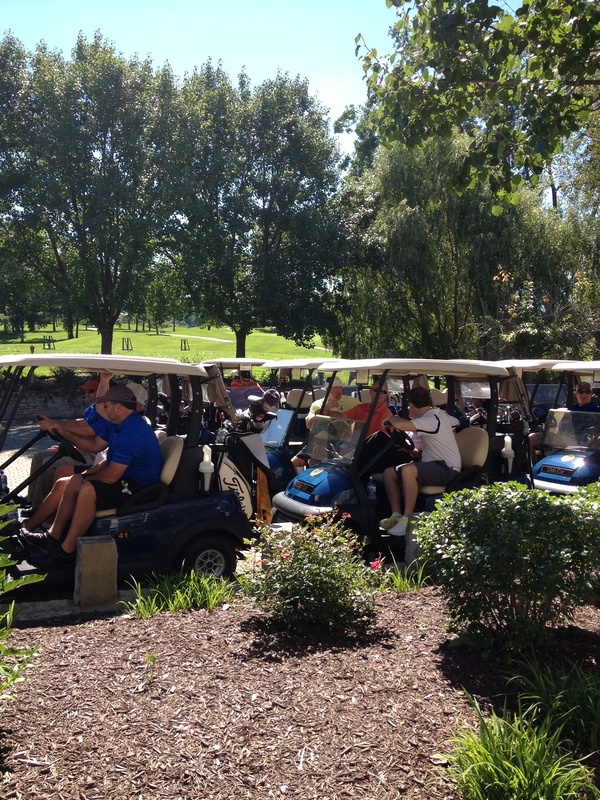 Thanks to everyone that came out on Monday for our 16th annual golf outing. 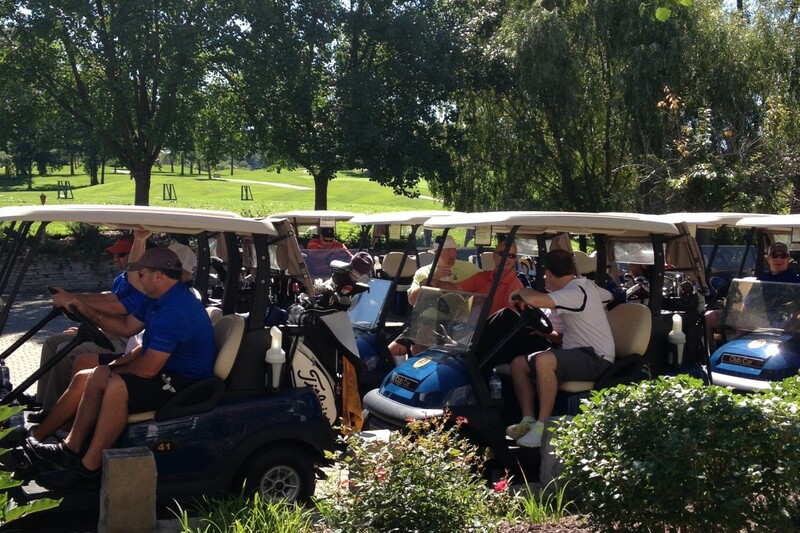 The weather was PERFECT and we raised a lot of money to help our neighbors in need!